including a double bunk. 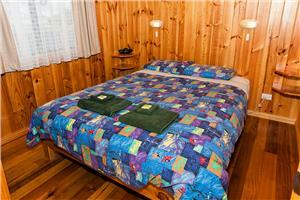 Our mid-sized cabins have two single beds in the second bedroom. 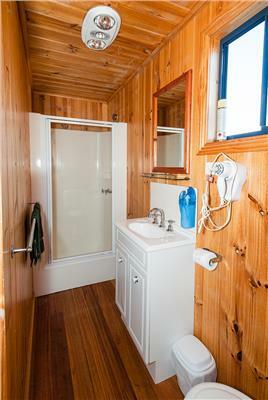 The Cottage is a well appointed one-bedroom cabin. 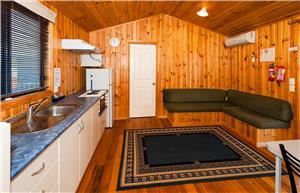 Each cabin has a full self-catering kitchen with oven, hotplates, refrigerator and microwave. The living area has dining and lounge settings, reverse-cycle airconditioning and a television. Folding beds and portacots are available on request. 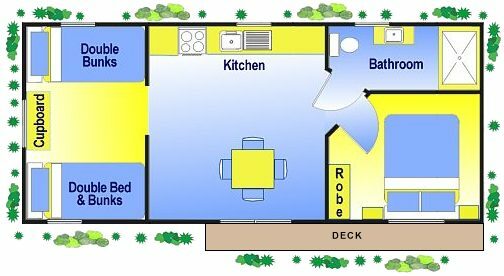 The layout shows a typical two-bedroom cabin. 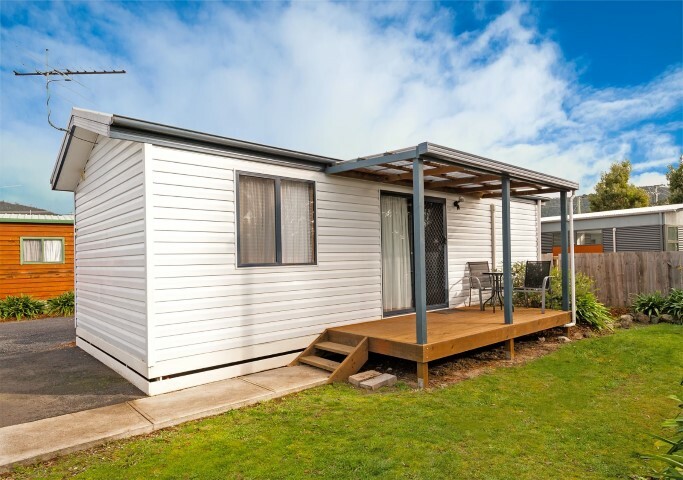 One of the Family cabins is a special needs/disability unit, with easy ramp access and wide sliding doors opening into a well designed pine lined unit. 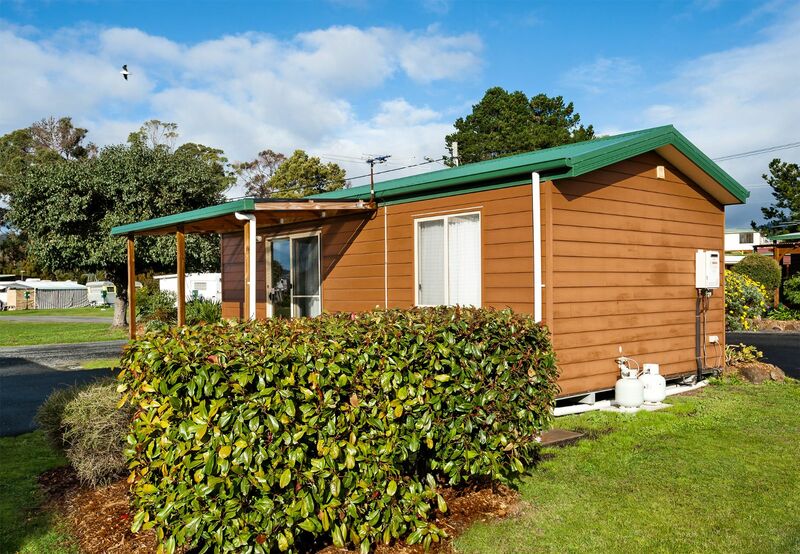 The unit has a full self catering kitchen, television and a dining setting for four people. The living room has wide and easy access to a user friendly, safe bathroom. The unit has an easily accessible master bedroom and a separate bedroom providing two single bunks.